Blueberries are flowering plants with indigo-colored berries that have a sweet taste when mature. 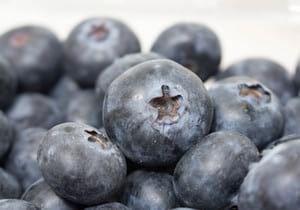 Blueberries mainly consist out of water, some small amounts of nutrients and sugar. Because of the higher sugar content, blueberries should be considered as treats and only be given to rabbits in small amounts. Keep an eye on how your rabbit reacts the first time you offer them. Give the blueberries a good rub under running water in order to remove potential contaminations. Keep portions small and offer only a couple of berries per day. Can Rabbits Eat Frozen or Dried Blueberries? Don’t feed frozen blueberries as cold food is likely to upset your rabbit’s digestive system. 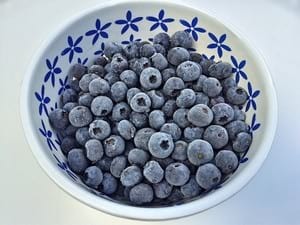 Don’t feed dried blueberries as they will contain higher amounts of sugar compared to fresh blueberries. This is because the drying process removes water, which concentrates the sugar. In some cases, dried variants will even have additional sugar added to them in order to enhance the taste and prolong conservation. Conclusion: blueberries are nice little treats you can give to your rabbit. Do you sometimes offer your bunny blueberries? Let us know in the comment section below.